Labour MSP and former health minister Malcolm Chisholm has announced he will step down at the next Holyrood election. Mr Chisholm, member for Edinburgh Northern and Leith, said he wanted to spend more time with his family. Former Edinburgh lord provost Lesley Hinds has been lined up to fight the seat in 2016. 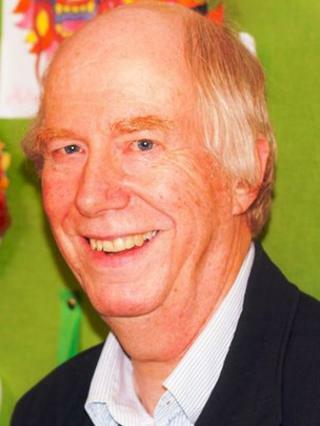 Mr Chisholm, 65, said serving his constituents had been "the greatest privilege of my life". He said: "Representing people in the north of Edinburgh and Leith has been the greatest privilege of my life, but I won't be fighting the next election. "Politicians sometimes say they want to spend more time with their family, and in this case it is true, as I have young grandchildren who play a big part in my life. "I have served as the MP and then MSP for our area for over 20 years, and we've seen huge progress in that time but there is still a great deal more to do. "I can think of nobody who is better placed than Lesley Hinds to campaign on the issues that matter to local people and hopefully to represent the constituency in the Scottish Parliament in due course." Edinburgh councillor Ms Hinds currently represents the Inverleith ward and as convenor of the transport committee has overseen the city's trams project. She said: "I am honoured to be selected by members. "Leith and the north of Edinburgh needs a powerful voice in the Scottish Parliament, fighting for the things that really matter to people here. "If elected, I will campaign tirelessly for better housing, more childcare, and jobs, jobs, jobs - because that is what we need and, if we work together, we can make them happen. "Malcolm Chisholm has been an outstanding public servant for our area, both as our MP and MSP, and we wish him a long and happy retirement when he steps down in 2016. I know he will be working hard every single day until then."